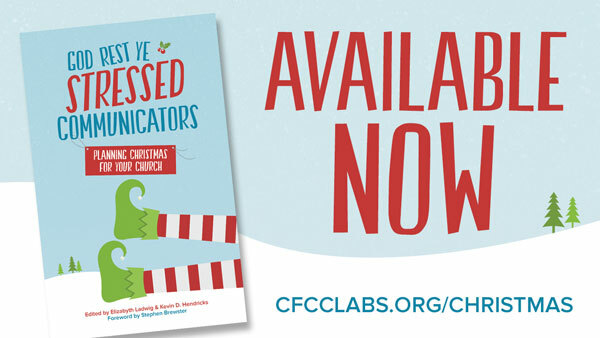 A new book to help church communicators at Christmas. Christmas is coming—break out the eggnog and candy canes! But for church communicators, this isn’t always a season of peace on earth and goodwill toward men. Christmas often means pulling out all the stops—adorable pageants, packed pews, beloved music. Not to mention planning it all on a very limited budget. For many communicators, planning your Christmas services often starts too late and never seems to end. Just when you think you’ve unraveled that last knot of Christmas lights, someone dumps another pile in your lap. Save the stress this season. Drawing on the expertise of more than a dozen church communicators, this book covers what you need to know about planning Christmas for your church: starting early, embracing tradition, recognizing your limits, spreading social media cheer and more. It’s an ideal companion for communicators with the weight of the season on their shoulders. This is one gift you’ll definitely want to open early. 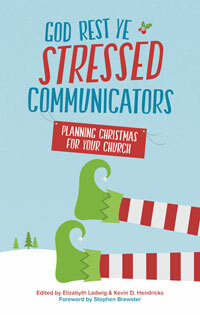 To celebrate the release of God Rest Ye Stressed Communicators, we’re offering 30 Days of Planning Christmas. We’ll send an email every day for 30 days with helpful Christmas content. So you can get a ton of helpful ideas, examples and encouragement as you get ready to start planning Christmas.